ONE OF A KIND IS TERRIBLY OVER USED..EXCEPT WITH THIS PROPERTY! 1400 FT OF SUGAR SAND BEACH . 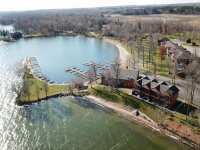 . .
LEECH LAKE'S PREMIER RESORT, ANDERSON'S HORSESHOE BAY, CAN NOW BE YOURS! 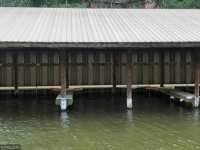 LOCATED ON ONE OF MINNESOTA'S FOREMOST SPORT FISHING LAKES, HORSESHOE BAY IS 30 ACRES OF SANDY . . . HERE'S A ONCE-IN-A-LIFETIME, TRULY UNIQUE PROPERTY! 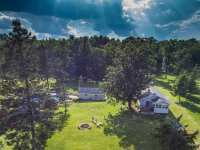 44 ACRES WITH 860' OF COMPLETE SERENITY. TUCKED . . .
LEECH LAKE, SHINGOBEE BAY, 2.56 AC, 650 FT FRONTAGE - NEWER 3BD 3BA, 1.5 STORY, 2232 SQ FT FINISHED, 1232 SQ FT LOWER LEVEL WALKOUT FRAMED & ELECT IN FOR ADDITIONAL . . . LOOKING FOR PRIVACY, SPECTACULAR LAKEVIEW &AMP; FISHING RIGHT OFF YOUR DOCK, THIS IS IT. 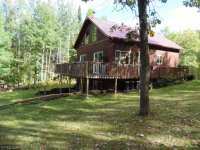 LEECH LAKE, SHINGOBEE BAY, 2.56 AC, 650 FT FRONTAGE, NEWER 3BD 3BA, 1.5 STORY, . . . 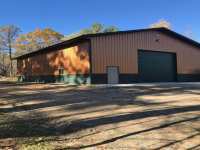 THIS NEWER CONSTRUCTION LEECH LAKE ACCESS HOME FEATURES CATHEDRAL CEILINGS, OPEN CONCEPT LIVING . . . THIS LEECH LAKE ESTATE FEATURES 301' OF HARD SAND FRONTAGE, OVER 2 ACRES, A MAIN HOME AS WELL AS A . . . 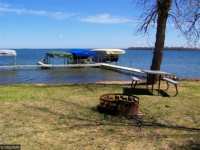 IMPRESSIVE PROPERTY ON LEECH LAKE ONLY MINUTES FROM WALKER. 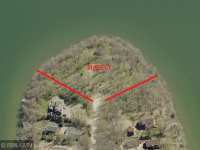 271' OF LEVEL LAKESHORE, 2.8 ACRES, 2 . . . 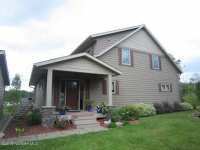 THIS UPSCALE WALKER BAY LEECH LAKE ACCESS HOME FEATURES AN OPEN CONCEPT LIVING AREA, VAULTED . . .
BIG HARDWOOD POINT ON LEECH LAKE. THIS BOAT IN PROPERTY IS ON 21.19 ACRES WITH MAIN CABIN, BUNK . 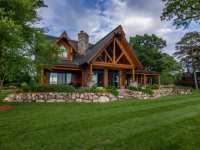 . .
JUST 5 PAVED MILES TO PICTURESQUE WALKER, THIS HOME SITS IN COVETED SHINGOBEE BAY OF LEECH LAKE . . .
JUST 5 MILES FROM WALKER, THIS HOME HAS 256' OF SHORELINE WITH WESTERN EXPOSURE FOR AMAZING SUNSETS . . . 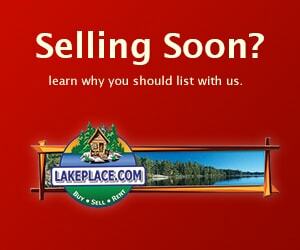 FANTASTIC LEECH LAKE OPPORTUNITY. ENJOY THE 4 BED, 3 BATH HOME WITH HARBOR SLIP AND SAND BEACHES ON . 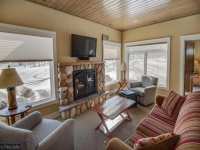 . .
ONE OF THE FINEST CONDOS ON LEECH LAKE LOCATED AT HORSESHOE BAY RESORT! ONE LEVEL, 3 BEDROOM-2 BATH . 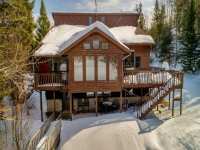 . .
MUST SEE 3 BEDROOM 3 BATH LEECH LAKE HOME WITH 135 FEET OF PERFECTLY LEVEL ELEVATION AND BEAUTIFUL . 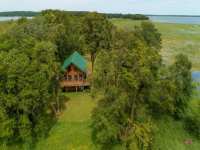 . .
CHARMING SEASONAL CABIN ON KABEKONA BAY BOASTS ONE OF LEECH LAKE'S BEST LOTS! THIS 2-BED/1-BATH GEM WITH PERFECT LEVEL ELEVATION, A PRIVATE HARBOR, &AMP; GREAT SWIMMING . 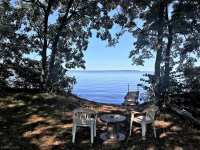 . .
AMAZING PANORAMIC VIEWS OF THE BEAUTIFUL BIG WATERS OF LEECH LAKE FROM PRESTIGIOUS ROGERS POINT. 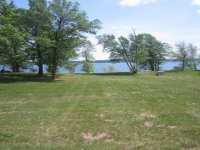 THIS LAKE LOT HAS 484 FT. OF SHORELINE AND 1.5 ACRES. VERY NICE TREE . . . 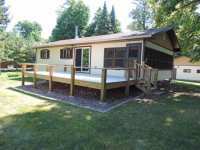 ENJOY LEECH LAKE &AMP; COMFORTABLE ONE-LEVEL LIVING IN THIS 3-BED/2-BATH HOME, BUILT IN 2015! 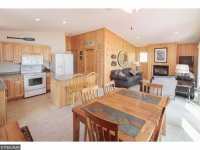 THE OPEN FLOOR PLAN &AMP; VAULTED CEILINGS GIVE A SPACIOUS FEEL, WHILE THE . . . YOUR CASTLE IN THE PINES! 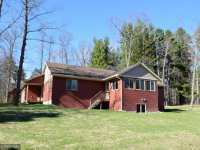 LAKE MAY ACCESS, 2.2 ACRES, TALL MATURE PINES, BEAUTIFUL LAKE VIEWS, . . . ENJOY SITTING ON THE DECK WATCHING THE SUNSET FROM THIS TRANQUIL, PRIVATE, NO PUBLIC ACCESS SETTING ON HORSESHOE LAKE. HOUSE BUILT IN 2009, CAN BE USED YEARLY OR . . .
1500 FEET OF LAKESHORE, 21.6 ACRES ON TURTLE LAKE. 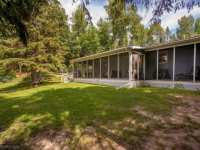 GREAT PRIVACY, LEVEL LOT TO THE LAKE, BUILDING SITE IS CLEARED, GORGEOUS SETTING, NO COVENANTS. TURTLE LAKE IS CLOSE . 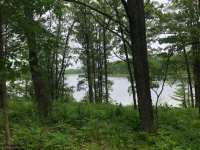 . .
LEECH LAKE, EAST FACING, MATURE PINE STUDDED, 100' SHORELINE, APPROX 2 ACRES VACANT LOT, CLOSE TO . . . FANTASTIC PROPERTY FOR THE RIGHT BUYERS. 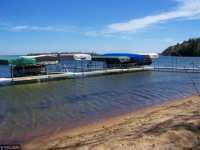 BOAT IN ONLY TO A REMARKABLE LOCATION ON LEECH LAKE. 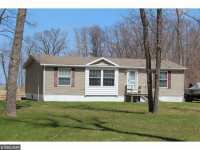 ONE HEAVILY WOODED ACRE OF LEVEL GROUND WITH 284 FEET OF WATER FRONTAGE, . 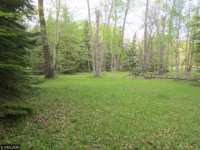 . .
LEECH LAKE ACCESS LOT. 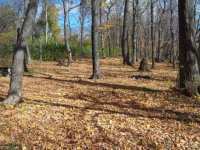 BEAUTIFULLY WOODED 3/4 ACRE LOT JUST 2 MI NORTH OF WALKER. ACCESS TO KABEKONA BAY AT LAKEWOOD ACRES PARK AND MARINA. PRIVATE SLIP. EXCELLENT SAND . 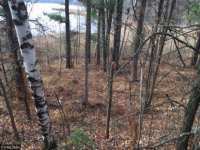 . .
LEECH LAKE ACCESS - UNDEVELOPED FOREST RETREAT LOT WITH MAPLE, OAK, BIRCH, POPPLE &AMP; NORWAY PINE. 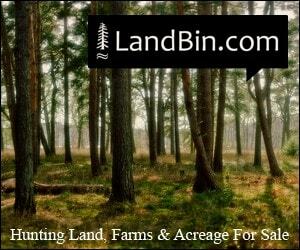 LOT IS ADJACENT TO OVER 1,000 ACRES OF COUNTY &AMP; FEDERAL LAND. . . .
200 FEET OF LAKESHORE, 3 ACRES ON TURTLE LAKE. 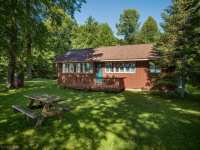 GREAT PRIVACY, LEVEL LOT TO THE LAKE, BUILDING SITE IS CLEARED, GORGEOUS SETTING, NO COVENANTS. TURTLE LAKE IS CLOSE TO . 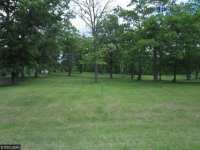 . .
BEAUTIFUL LOT NEAR WALKER, MN AND JUST MINUTES FROM THE CASINO. JUST SOUTH OF LEECH LAKE FOR EASY ACCESS TO THE BIG WATER. GREAT FISHING AND PRIVATE LAKE WITH NO PUBLIC . . . AFFORDABLE WAY TO BE ON LEECH LAKE. 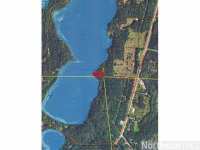 LAKE HARBOR ESTATES ACCESS LOT THAT SHARES OUTLOT 8 W/SAND BEACH AND DOCK SLIP. LEVEL LOT, CLOSE TO LAKE. COMMUNITY DRAIN-FIELD IS . . . AFFORDABLE WAY TO BE ON LEECH LAKE. 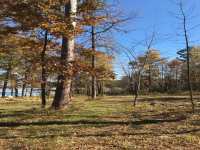 LAKE HARBOR ESTATES ACCESS LOT THAT SHARES OUTLOT 8 W/SAND BEACH AND DOCK SLIP. LEVEL LOT. COMMUNITY DRAIN-FIELD IS IN, AND COVENANTS . . . AFFORDABLE WAY TO BE ON LEECH LAKE. 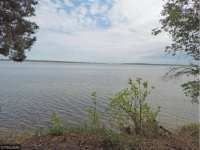 LAKE HARBOR ESTATES ACCESS LOT THAT SHARES OUTLOT 8 W/SAND BEACH AND BOAT SLIP. NICELY WOODED WALKOUT LOT. COMMUNITY DRAIN-FIELD IS . . . 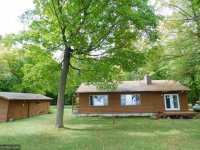 ENJOY LEECH LAKE LIVING AT AN AFFORDABLE PRICE. 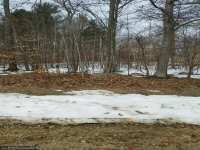 THIS WOODED LOT WOULD MAKE AN EXCELLENT BUILDING SITE FOR A RETIREMENT OR SINGLE FAMILY HOME. LEVEL ELEVATION WITH A LAKE . . . 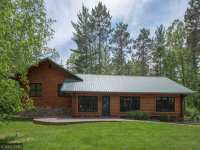 DIRECT ACCESS TO CHIPPEWA NATIONAL FOREST FROM VERY PRIVATE LOT NEAR WALKER, MN AND JUST MINUTES FROM THE CASINO. JUST SOUTH OF LEECH LAKE FOR EASY ACCESS TO THE BIG . 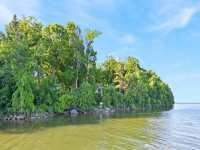 . .
(LOT 13 - OAK POINT ESTATES) LOT ON LEECH LAKE LOCATED NE OF THE WALKER BAY NARROWS, SIX MILES BY BOAT FROM WALKER MINNESOTA. 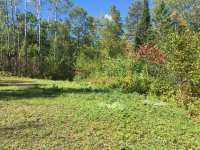 WOODED LOT WITH 182 OF NATURAL FRONTAGE ON . . .
DON'T MISS OUT ON THIS LAST AVAILABLE LOT IN THE TWO HARBOR ESTATES LAKE ASSOCIATION. 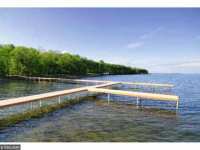 DEEDED DOCK SPACE ON LEECH LAKE AND A COMMUNITY SUGAR SAND BEACH AND PAVILION ARE . 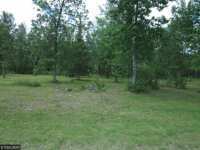 . .
GREAT ACCESS LOT ON KABEKONA BAY OF LEECH LAKE, JUST 3 MILES NORTH OF WALKER, NEXT TO THE PAUL BUNYAN TRAIL SYSTEM. 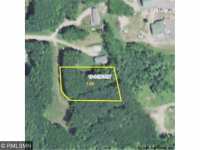 LOT INCLUDES HARBOR SLIP, COMMON WELL AND SEPTIC, ON . 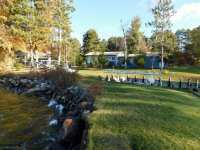 . .
WELL MAINTAINED DEVELOPMENT ON LEECH LAKE! 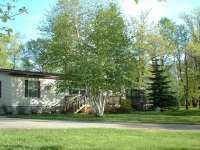 GREAT LOCATION...CLOSE TO SHOPPING, GOLFING, TRAILS AND MUCH MORE!!! LOT INCLUDES A HARBOR SLIP, SWIMMING BEACH, PLAY GROUND . 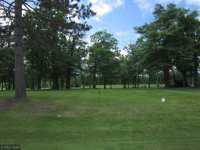 . .
LEECH LAKE COMMON INTEREST COMMUNITY... GREAT LOCATION...CLOSE TO SHOPPING, GOLFING, TRAILS AND MUCH MORE!!! LOT INCLUDES A HARBOR SLIP, SWIMMING BEACH, PLAY GROUND AND . . . 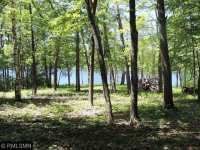 ENJOY LEECH LAKE ACCESS WITH A COVERED HARBOR SLIP (LESS THAN A HALF MILE FROM THIS WOODED LOT) AND . 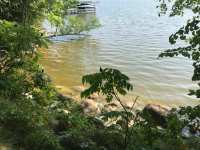 . .
GREAT PRIVATE LOT OVERLOOKING SHINGOBEE RIVER FLOWING INTO SHINGOBEE BAY. HIGH ELEVATION FOR SPECTACULAR VIEWS. 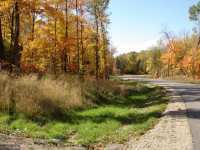 CLOSE TO HIKING, AND BIKING TRAILS. HUNTING OR VIEWING . 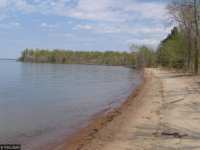 . .
GREAT ACCESS LOT ON KABEKONA BAY OF LEECH LAKE, JUST 3 MILES NORTH OF WALKER, NEXT TO THE PAUL BUNYAN TRAIL SYSTEM. 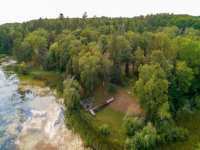 LOTS INCLUDE HARBOR SLIP, COMMON WELL AND SEPTIC, ON . . . Imagine your typical family vacation. Roaming through a crowded, noisy and sometimes smelly amusement park; bombarded by cartoon characters and crying toddlers; constantly dolling out more and more money to buy over-priced lunch, sodas, snacks and dinners. Returning to a cramped hotel room at the end of the day, spent, exhausted and downright grumpy, only to wake up the next morning prepared to do it all over again. Now imagine; the early morning suns peeks over the horizon, reflecting brilliantly off of the tranquil waters of Leech Lake; steam rises from the surface of the lake, creating wispy trails up into the air; deer tiptoe around the forest in search of their morning meal; wild birds stir, rustling the treetops and shattering the stillness of the lake surface as they swoop down in search of fish; wrapped in a warm fuzzy robe on the deck of a spacious vacation home, you breathe in deeply, absorbing the fresh, clean scent of the pine forest surrounding you. Kick your feet up and sip your coffee and you relish the decadence of the moment; the pure, still moment here in the North Woods of Minnesota as you contemplate your day of canoeing, water-skiing, boating, exploring. Take a moment and appreciate all the beauty life here in the North Woods has to offer. All in all, a pretty stark contrast, don't you think? Many Americans fail to utilize all of the vacation time provided to them by their employers, losing out on countless hours of rest and relaxation. And what do we get in exchange? More stress. And it's not like our employers are really getting the benefit of the extra hours - when we feel burnt out and stressed, it is next to impossible to be productive. Taking a break allows you to recharge your batteries; come back to work refreshed and more productive than ever. So, when we do have an opportunity to take a break, why on earth would we choose to spend our time at a place that will only stress us out more, leaving us exhausted and ready for a 'vacation from our vacation'? 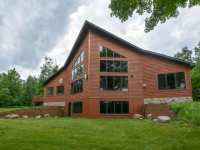 Visit the Walker, Minnesota area, adjacent to Leech Lake in northern Minnesota and truly recharge on your next getaway or extended vacation. Walker, Minnesota is a delightful respite from normal. The pace of life is a bit slower; people are friendlier and more accommodating. 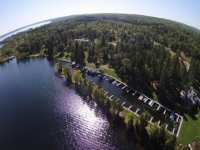 Walker, Minnesota is home to a variety of fine resorts and B&Bs alongside of some of the most spectacular scenery you will ever encounter, making it the perfect place for a rejuvenating vacation in the North Woods. 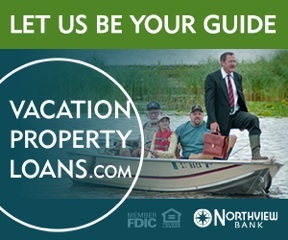 If you are looking for a place to establish a vacation residence, a place to retire, or a place where you can relocate your family in the Midwest, look no further. Walker, Minnesota features a variety of residential property options including everything from luxury multi-level properties with gorgeous amenities, to rustic lakeshore cabins to modern condominiums. The best part of real estate in and around the Walker area? Property values. Residential real estate has historically been a great investment in this region, with properties retaining their value and often appreciating, without the crazy inflation you might find in coastal markets. The properties here are affordable, especially when compared with property prices in trendier resort areas. 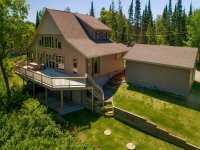 If you have ever pondered the notion of owning your very own piece of residential, or commercial, real estate in the North Woods, be sure to contact the knowledgeable agents at LakePlace.com for a little expert guidance to help you navigate the market in and around the Walker area. 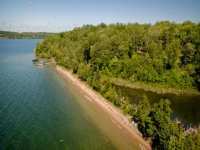 In the heart of the Chippewa National Forest, Leech Lake and Walker on the western edge of the lake, offer literally countless opportunities for outdoor recreation, regardless of the season. Winter brings ice fishing and cross-country skiing, activities everyone should experience at least once in their life. Spring brings renewal as the ice thaws and the wildlife and wildflowers awake from their wintry slumber. Summer is easily the most popular season to visit Walker with thousands of adjacent trails for ATV'ing, hiking and mountain-biking. Autumn brings breath-taking changes in the hues of the trees from rich green to fiery reds, golds and oranges. Learn about the rich history of the region at the Museum of Natural History in Cass County, explore Itasca State Park where the legacy of Mary Gibbs lives on every day, experience the charm of a local winter festival at the annual Eelpout Festival in February, take and icy plunge at a polar bear plunge, or simply join a community supper event for some great food and even great conversation with the welcoming local crowd. No matter how you spend your time here in and around the Walker area, you are sure to create memories you and your family will cherish for the rest of your lives. When thinking about a vacation in north central Minnesota, images of fishing, hiking, and boating probably come to mind. In addition to being able to relax in the great outdoors, there are countless opportunities for adventure-seeking individuals and families. Walker, Minnesota is a prime example of an ideal spot to both relax and to experience all of the attractions and events of a much larger metropolis. 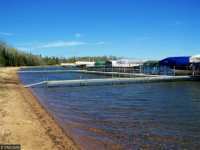 Located along the shores of Leech Lake in Cass County, Minnesota, Walker has a population of approximately 1,000 permanent residents. 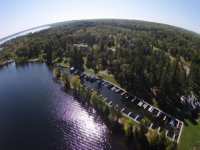 Large enough to offer many attractions, but small enough to maintain a cozy, relaxed feel, Walker is a vacationing paradise of the Minnesota Northwoods. Walker was initially founded in 1896. The town of Walker was named after Thomas B. Walker, a logging industry tycoon, in the hopes of attracting a sawmill to the area. Unfortunately, the town founders' efforts were in vain and Thomas B. Walker elected to establish his mill in a neighboring community. In spite of this setback, Walker, MN became a stronghold of the logging industry with the establishment of several other mills in the late 19th and early 20th century. With its breath-taking natural beauty, Walker emerged as a world-renowned vacationing destination in the early 20th century. Today, Walker Minnesota remains an ideal spot for visitors seeking respite from the daily grind. With a variety of motel and accommodation choices, Walker is sure to have the ideal choice for your family's stay. 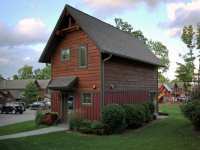 Budget motels, bed and breakfasts, tent and RV camping sites are plentiful around the Walker area. For a bit more privacy and some well-deserved luxury, consider renting one of the beautiful vacation homes or cabins along the shores of the crystal clear Leech Lake. There are even houseboats for rent from various area resorts. 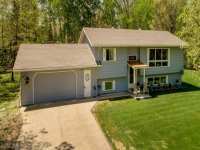 Regardless of your budget or preferences, Walker, MN is sure to have a great spot for you! 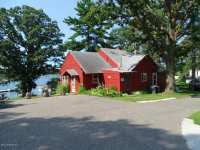 For outdoor fun, come and relax along the shores of the beautiful Leech Lake with a good book. Sunbathe along one of the lake's beaches. 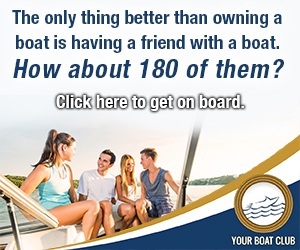 Rent a boat for an afternoon of fishing, sailing or canoeing. Fishing on Leech Lake is wonderful with plenty of bass, muskie, walleye and perch for the taking. 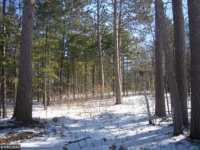 Hike along the beautiful woodland trails and scenic byways of the Chippewa National Forest. Mountain bike or ride an All Terrain Vehicle (ATV) along one of the designated paths. In the winter, snowmobile, cross country ski or snowshoe through the pristine, snowy forests. Occasional dog-sled races are can't miss entertainment here in the Minnesota Northwoods. Don't miss your opportunity to experience the joys of ice-fishing on Leech Lake in the great state of Minnesota! In addition to these classic outdoor activities, a plethora of unique attractions await you in and around Walker. Schedule in a visit to the Northland Bison Ranch in nearby Nevis, where you can take a ride amidst these majestic creatures on the Bison Bus. Plan an air tour of the area on the Lake Country Air Service, operated out of the town of Hackensack. Enjoy golfing on one of the area championship golf courses such as the LongBow Golf Club, the Wedgewood Golf Course or the Tianna Country Club. Take a romantic tour of a Minnesota winery at the Forestedge Winery in nearby Laporte. Try your hand at sailing around one of the area lakes. Opportunities for adventure abound in and around the vacationing paradise of Walker Minnesota. Downtown Walker, MN features an array of charming, delightful shops for an afternoon's diversion. Be sure to stop into the Shingobee Studios to view their excellent selection of photographic prints, pottery and more. After shopping, stop into the famous "Martini Bar" at the delectable Boulder's Restaurant. For an evening of gaming entertainment, visit the world famous Northern Lights Casino. With over 1,000 slot machines, blackjack, a buffet, gift shop and a cabaret show, the Northern Lights Casino is an excellent choice for an evening of fun! If you happen to be in the Walker area in July, the Moondance Jam is one of the best concerts you will ever attend. Featuring a variety of bands from the 1970's and 1980's, Moondance Jam takes place over a three day period in mid-July. In early August, stop in for some family fun at the Walker Bay Days along the shores of Leech Lake. Fun for the entire family, Walker Bay Days features live music, a fish fry, a mini-regatta, karaoke contests, an Olympics themed sports competition and a celebration of the Ojibway culture with the famous "Pow-Wow." Watch the lights of area boats twinkle along the water in the boat parade. In the fall, other Walker festivals such as Ethnic Fest and the Northwoods Quilt Show are sure to delight members of your family. So, if you are looking to escape from it all without losing out on the opportunity for a little adventure, be sure to check out Walker Minnesota for your next getaway!